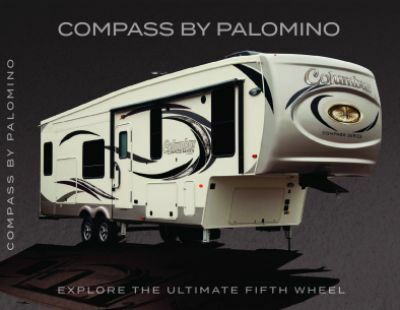 Go on the trips your family has always dreamed about with the 2019 Palomino Columbus Compass Series 378MBC! This 5th Wheel is reliable and great for long distances! Find this quality model at All Seasons RV, one of the best Michigan RV dealerships! We're conveniently located at 4701 Airline Rd Muskegon Michigan 49444, so stop by if you're driving near Muskegon! Call us at 231-739-5269 for more information on this wonderful RV or any of our other great models! The 2019 Palomino Columbus Compass Series 378MBC is ready to go whenever you are, with its hitch weight of 2184 lbs. and rugged GVWR of 15990 lbs! It sets up easily and the 20' 0" power patio awning opens readily to provide shade and protection for outdoor living! 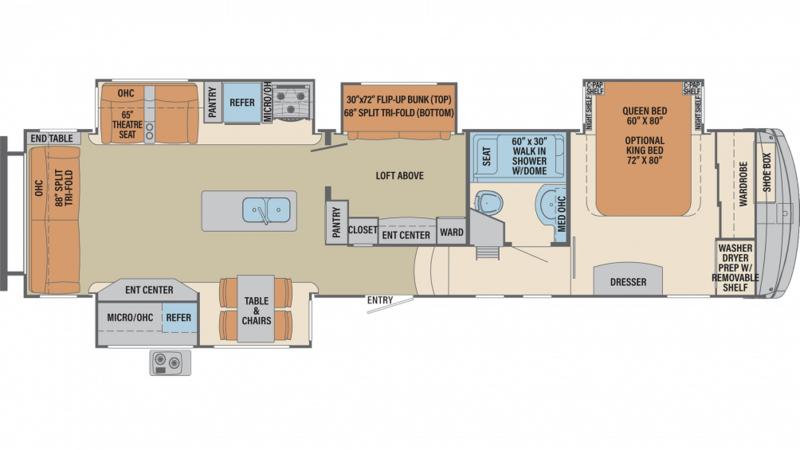 This RV is a spacious 42' 1" length, its 8' 5" width, and the 4 power slides that maximize the living area inside! And when the weather isn't cooperating, no one will mind because the efficient 35000 BTU furnace will keep them warm on the cold days, just as they'll stay cool and comfy on hot days thanks to the modern 15000 BTU a/c unit! The Palomino Columbus Compass Series 378MBC has wonderful sleeping accommodations for everyone. Especially nice is the roomy master bedroom, handsomely appointed and furnished with a big Queen bed! At the end of the day, you'll cozy in and enjoy a great night's slumber! Up to 7 people can sleep comfortably inside this RV! When it's time to prepare a meal for your family, you'll have the convenience of a kitchen that comes with all the modern cooking appliances you could ask for, including a 3 burner range cooktop for making delicious hot foods! And you can store all your favorite fresh meats, veggies, and cold drinks in the 8.00 cu. ft. refrigerator! The sink has clean water provided by the 75 gallon freshwater tank. Let's face it, outdoor fun comes with its share of dirt, dust, and grime. But you can wash it all away in the bathroom! The shower is convenient and roomy, and the Porcelain Foot Flush toilet is sanitary and easy to use! And with the 75 gallon freshwater tank and LP tank capacity of 60 lbs, everyone can enjoy this great amenity! Waste and used water are stored in the 39 gallon black water tank and the 71 gallon gray water tank, respectively. Don't want to break off your outdoor family fun at mealtimes? You don't have to, thanks to the outdoor kitchen!